Before I dive into the Kyrie 2, just a quick note: starting with the Rose 6 review, you’ll be able to find all TGRR reviews featured on tackl.com. Tackl is approaching shoe reviews from a crowd-sourcing standpoint, aggregating feedback from other wearers on just about any hoops shoe out there. They’ve asked me to post some expert reviews for them, and I’m happy to get TGRR content on more and more platforms. 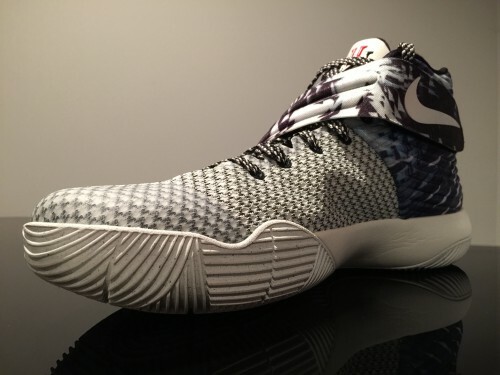 As noted in my first impressions post from a few days back, the Kyrie 2 is a very different shoe right out of the box. The highly rounded midsole/outsole not only looks unique, but also feels unique on foot. I’ve now had a chance to get in a few 2-hour runs in them (thanks to the annual Columbia City Christmas break hoop sessions) and I’ve gotten a handle on one of the more intriguing (and sought-after) shoes out right now. 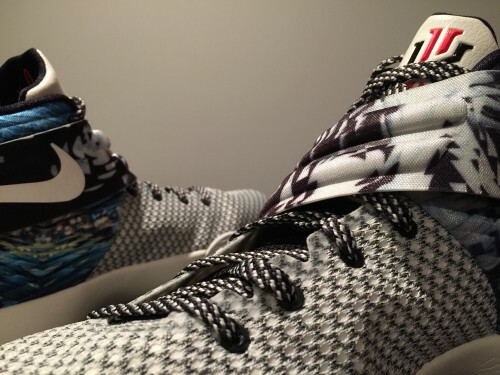 If you’re familiar with the Kyrie 1 at all, you’ll remember that the shoe ran very narrow. I never played full-time in the 1, but in my store try-on I needed to go up to a 12 to get the right fit because of the extremely narrow last. 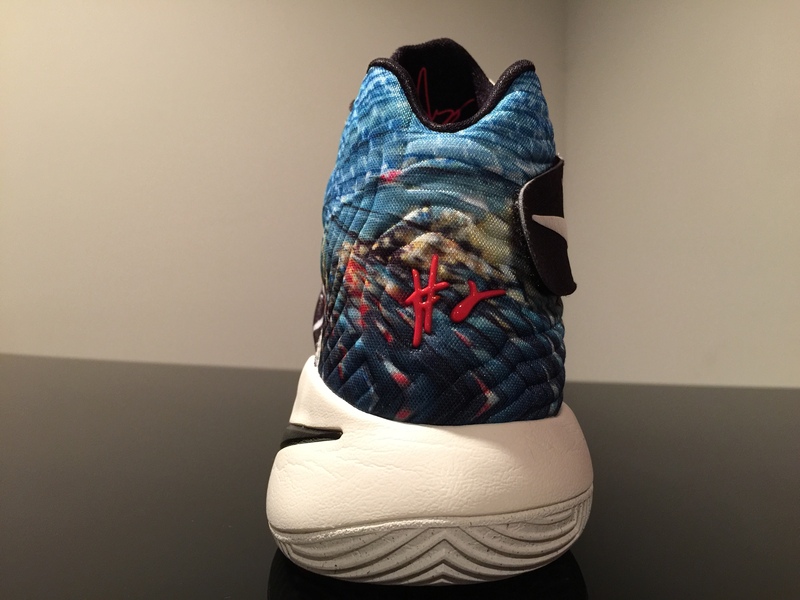 The Kyrie 2 is still fairly narrow, but is much improved especially under the midfoot. I went with an 11.5 in the Kyrie 2, which is true to size for me in everyday use, but I almost always go down to an 11 in hoops shoes. From a general point of view, the full Fuse upper provides good lockdown and containment from heel to toe. It’s a better quality upper compared to the 1 and is pretty straightforward (there are a couple medial notches at the forefoot to aid flexibility) until you get to the neoprene heel area and strap setup. The heel is well padded internally, conforms to the foot and is nice and flexible, and the strap kept my foot locked into the collar pretty well. There’s not a particularly solid heel counter in there, but the strap does help with heel security. The strap basically only affects the heel/ankle fit – but the midfoot laces up plenty tight. I didn’t notice any slippage internally and felt secure on all hard cuts, stops, and starts. The Kyrie 2 really shines here. The rounded sole came with a lot of scientific jargon in the Nike press release, but it boils down to this: it feels easier to roll from heel to toe during the footstrike. It’s a natural movement, and I kept getting the feeling that I was rolling inward just slightly – making it easier to push off the ball of my foot and big toe on hard changes of direction. 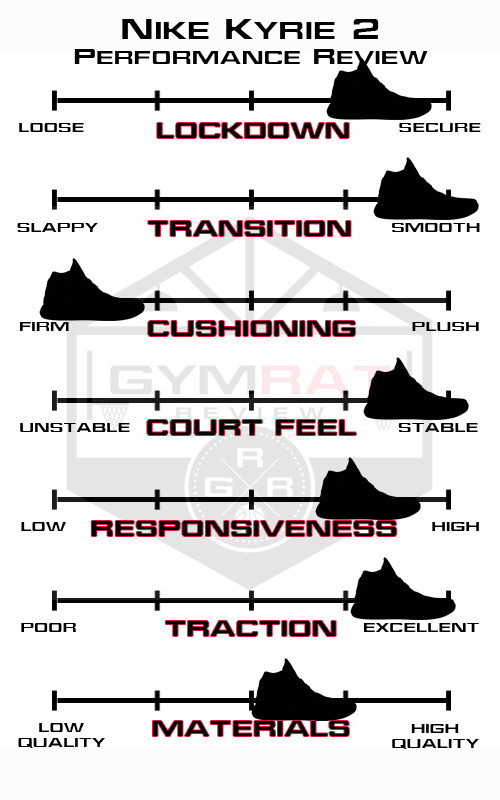 The shoe isn’t going to make you quick or improve the speed of your crossover (hit some ballhandling drills with tennis balls and hit the weight room for that) but I do feel that the radiused midsole/outsole promotes more natural movement than a lot of shoes. If you’re a quick guard or wing to begin with, you’ll probably like the feel of these. While the rounded sole was great for transition purposes, it did leave something to be desired from an overall cushioning standpoint. Some of this may have been because I came from playing on the pillowy Rose 6, but the Kyrie 2 cushioning felt very thin and firm. 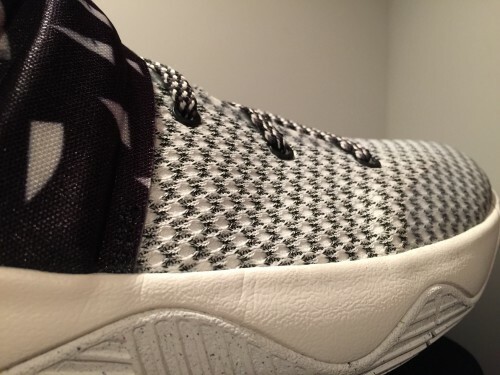 It’s a Phylon midsole with a tiny Zoom bag dropped in the heel and that Zoom is pretty non-existent. It also would have been nice to see an insole upgrade from the relatively thin unit used here (brands across the board, for whatever reason, are really skimping on the insoles lately). 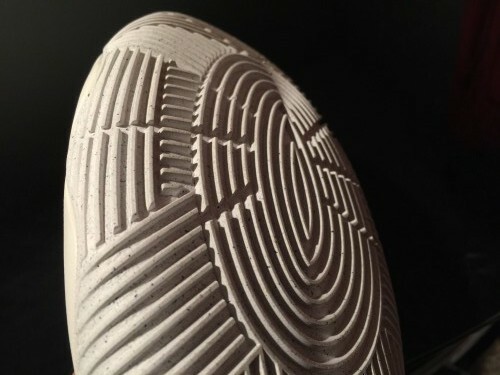 With that said, I think that the thin, firm midsole was necessary for the shoe to function as it was a intended. A thick, cushioned midsole isn’t going to be as flexible and responsive as the Kyrie 2 needs to be. I’m not even sure a Zoom bag in the forefoot would feel right with as rounded as the sole is. However as a guard, I don’t really mind the low, firm feel because it gives me great court feel and responsiveness. My knees might feel it after playing in these for another month or two, but so far I haven’t noticed any additional soreness. I had some of the exact same feelings about the Crazyquick 1 (which I loved playing in) in that the thin cushioning platform was a necessity and it’s benefits outweighed the lack of step in comfort. Overall I think it was a well-designed innovation from Nike even if their science is a bit dubious. It plays very low to the ground and is as stable as they come – look how the lateral side midsole wraps up around the heel to prevent a rollover – just don’t expect a plush ride. 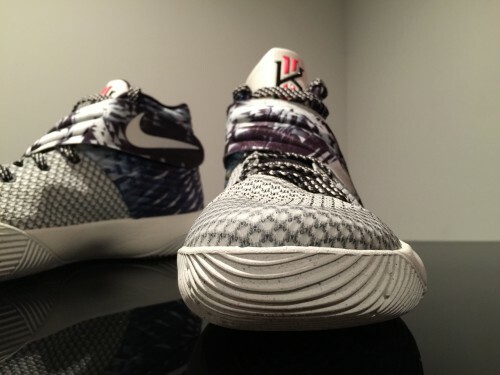 Once again, the Kyrie 2 scores very well. A soft, pliable rubber makes up the multi-directional traction pattern that wraps up on the lateral side of the midsole. Designed to give traction in all directions (aren’t most traction patterns? ), I found it to be a good performer on YMCA courts ruined by kids with dirty shoes and an excellent performer on two clean high school courts. It’s a pretty no-frills build, but I think it’ll hold up very well. Fuse is a tough, long-lasting upper material and the midsole cushioning has enough density and support that I don’t see it breaking down too quickly. The strap is a quality hook and loop setup and the overall finish of the shoe is pretty good for a $120 price point. 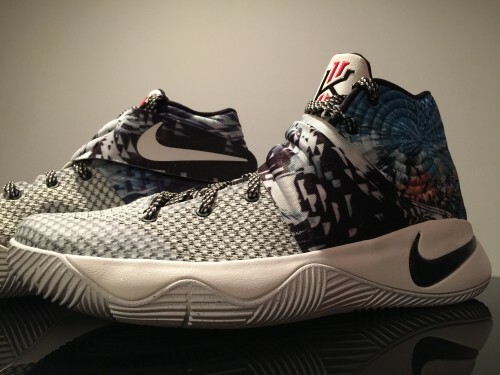 I have a hunch that reviews will be all over the board for the Kyrie 2. I actually have loved playing in it so far and plan to keep it in the rotation for the time being, but I can completely understand if the cushioning setup turns some players off. At $120, these deserved a better heel Zoom unit and a beefed up insole. For me though, the smooth transition, overall lockdown and stable, low to the ground feel are perfect for my game. Yeah I’m interested to see how I like them long term. Like you, I typically don’t like the minimal cushioning (eventually the CQ1 was too harsh for me to play in) but I think these are stiff enough in the midsole that they haven’t bothered me so far. I can do without a ton of impact protection but midfoot support is where I get real sensitive. Hey man! 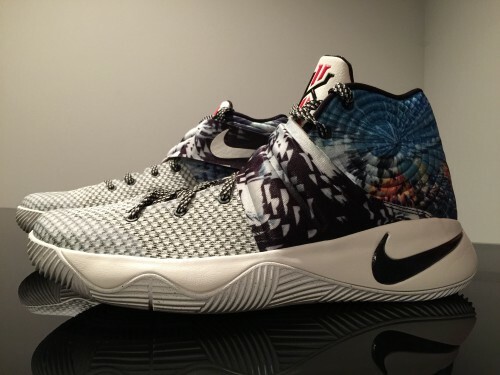 The Kyrie 2 is narrow like the Kobe 9 EM? It’s narrow but not quite like the 9. After four months wear, total of four holes in the two insoles, couple measure almost 2″X 2″, not good quality.